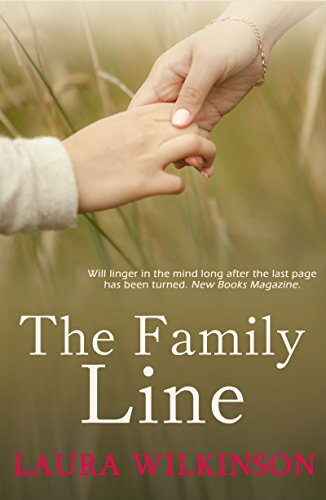 The Family Line by Laura Wilkinson is an unusual but gripping story set in the near future. Wilkinson cleverly uses her novel to construct a world that acts as a cautionary tale of what could become of us if we fail to mend our ways. We are introduced to the main character, foreign correspondent Megan Evens, in a prologue where the independent, sparky thirty something is trying to escape a militarised Muslim area to return to London. The impression is immediately created that Megan is a tough, no-nonsense, driven woman. These are qualities that serve her well when she finds herself a single mother and opts to return to her family home in Wales. Her life is turned upside down even further when she discovers that her young son has a hereditary condition called AMNA and without a bone marrow transplant he will not survive into adulthood. Megan determines that she will stop at nothing to find a genetic match for her child but in doing so uncovers life changing family secrets. Wilkinson separates her novel into three parts: the present, the past and the future. During the first part (present) of the novel, we are given clues that the world has been dramatically altered, for example there is food and water rationing and restrictions on travelling. However, it is not until the second section (past) that we learn the truth. 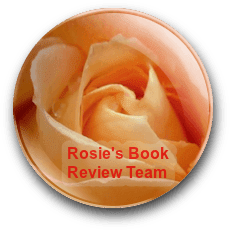 The ‘past’ is told from Megan’s mother, Elizabeth’s, point of view and she describes how in 2025 a plague wiped out 50% of the UK population which has unspeakable ramifications for both Elizabeth and the unwitting Megan. The final section (future) of the novel sees Megan travelling to Romania with her mentor, friend and fellow journalist, Jack North, in an attempt to unravel the past and find a bone marrow match for Megan’s child. I found the novel to be extremely dark and in places truly disturbing. My favourite section of the novel is the ‘past’ and it is in this section that Wilkinson’s writing evokes terrifying imagery in the way she describes the onset of the plague. She presents us with a realistic scenario where infestations of rats, some as big as small dogs, act as the harbinger of the terror that is to come. The terrible suffering that the people endured is also made heartbreakingly real by Wilkinson’s vivid imagery. What I particularly like about Wilkinson’s novel is the way in which she explores very relevant issues by taking them to their extreme potential trajectory. For example, the plague is a man-made one created for warfare that is somehow released. The rats are breeding because of the amount of waste people discard and they consequently spread the plague like wild fire. There are also climate changes causing droughts and floods brought about by mankind’s selfish disregard for the environment. After the plague, people determine to be more mindful of the problems they are causing but, little more than thirty years later they are already neglecting the environment once more and the suggestion is the whole 2025 catastrophe could be repeated. As a result of the plague, the population is massively depleted and a ‘breeding frenzy’ ensues. This leads to women who are past natural child bearing age or infertile seeking out donated eggs. As egg donation becomes big business, poor countries become exploited as young women and girls are offered money for their eggs. The consequences of this are dire as none of the donors are checked for any health implications. Wilkinson raises the question of whether it is a woman’s right to bear a child just because she wants one. The idea is taken to its extreme when we are presented with the grotesque image of a pregnant woman in her seventies. Wilkinson also explores the guilt associated with hereditary conditions. AMNA is a disease where females are the carriers and males the sufferers. However, this is made even more complex because not every mother will pass it onto her sons; it’s a random condition that can skip a generation or strike just one boy in a family. If this were the case, would you risk having children and how would you live with yourself if you passed a life limiting, terrible disease onto your child. Wilkinson touches upon genetic engineering and the question of where it would stop. If we used it to eradicate potential illness is it not then human nature to become even more demanding in a quest for perfection? Another question raised by the novel is the impact of nurture over nature. Although nature dictates our physical attributes and weaknesses, nurture can be just as life limiting. Megan has been nurtured by a mother who is defined by secrets. This has had a disastrous effect on their relationship as Elizabeth has seemed emotionally absent to Megan. Megan herself is a cold, aloof character who, despite her passion for social justice, doesn’t give of herself emotionally. Her relationships with others seem functional rather than warm and caring. I really liked The Family Line; I found it interesting and thought provoking. My only slight criticism is that because the book has such a dark and uncertain tone throughout, the ending, when it comes, seems a little bit neat and tidy. That being said, lots of readers do prefer books with a definitive conclusion. The Family Line is not a light summer read but it is a thoughtful and well written story of where we could all potentially end up. If you like a novel that is unusual and makes you think, then this one is for you. Thank you E.L. sounds like a book to make you think. Excellent review :) What’s pretty scary about stories like this is when you look back at books from years ago that seem to have foretold the future to some extent. Thanks Cathy and you're absolutely right - that's what made it such a disturbing read, I could really imagine what Laura was describing happening.